One of the best ways to find cheap airline tickets is by comparing prices of all the airlines that fly to your destination. Don't worry, you don't have to do this yourself. Just go to a reliable price-comparison site such as the excellent Skyscanner. Type in your location and destination, and the service will list all the cheapest flights in descending order. Sometimes you will find a cheap flight only for the airline to bombard you with insurance, financial protection, speedy boarding, extra baggage charges and more. You can ignore most of these charges. For example, paying for your ticket with your credit card (not debit card), will automatically protect you financially. Speedy boarding passes are a gimmick. You get on before about 50 percent of the passengers, but at the end of the day you get the same seat. To top it off, you will all leave the plane at the same time. As far as travel insurance goes, there are plenty of cheap plans that can cover you for an entire year. If you are European and flying to another European country, you can get a European Health Insurance card for free. Just make sure that the site you buy your ticket through does not automatically tick the insurance box for you. Purchasing your hotel accommodations, sightseeing, and ground transportation in conjunction with your flight can often save you money. Tour companies, such as Brendan Tours for Europe and Ireland and Garuda Orient Holidays for Asia, offer significantly lower airfares when purchased with one of their tour packages. If you're afraid of package tours because you have visions of traveling on a tour bus with forty other people, don't worry. Many "tours" are actually individual arrangements that the company purchases in bulk and, therefore, is able to price attractively. Generally speaking, the best airfare prices go to travelers who book early. Most international flights divide their coach section into different price levels, with the least expensive level selling first. It also pays to book charter flights and consolidator airfare early because these types of airfares have very limited seats. The exception to this rule is the cheap international airfare offered weekly on major airline Internet sites. These fares are offered at the last minute, usually within a week of departure, and only a few city pairs are offered each week. Some weeks, there are no international airfare specials. To view a range of last minute fares, you can visit either Lonely Planet or Last Minute.com. These days, there are all sorts of budget airlines that fly to neighboring countries, and most of these airlines fly from the smaller airports. So even if the airport is five or six hours away, and it would be more convenient for you to take a more respected airline, it would still be a far cheaper option. As an example it can cost around $600 to travel from Fort Lauderdale, Florida to Bogota, Columbia on Jet Blue airlines, and over $1700 to travel by United Airlines from Fort Myers, Florida to the same destination. You can save up to 50 percent if you travel to a country during their off-season. That means you will probably experience the worst of that country's weather, but it also means you will enjoy a far less hectic holiday. As an indicator, the off-season in Europe is between mid-October to mid-April with extra savings offered in January, February, and early March. The off-season in Southeast Asia varies a little more. Thailand's off-season is between March and October. If you are not fussy about which time and which day of the week you travel, you can find cheaper tickets if you're willing to fly during unsociable hours in the middle of the week. If you want to fly somewhere for the weekend, however, you could consider flying there late on a Thursday and flying back early on a Monday. Consolidators are companies that buy excess seats from major airlines and sell them below the regular published fare. Companies, such as Bargain Travel, can save you up to 30 percent on airfare. 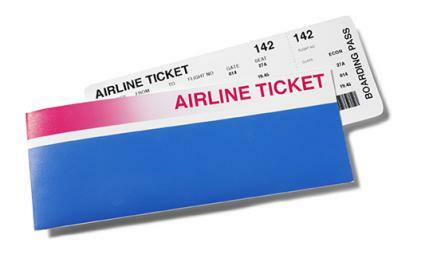 Restrictions are usually tight, and most of these types of airfares are non-refundable. Some of the major airline privileges, such as advance seat assignments and special meal requests, may not apply with these airfares. Using a travel agent is a good way to find cheap international airfare. A good agent will be able to sift through the myriad of travel options to find the deals that best suit your needs. Ab agent can also alert you when a good price becomes available, as well as advise you on documentation needs, sightseeing, and hotel accommodations, which ultimately saves you time. This option is probably only viable when working with travel agents in your own country. In other countries, as an example South East Asia, booking through a travel agent as a foreigner can end up costing you more. Like some airlines, they may bombard you with extra charges such as transport from your hotel to the airport. You may find that an airline offers an excellent deal to a country near your destination, but not to the destination itself. If that is the case, you could consider taking the cheaper flight and then take another form of transport such as a bus or a train to your destination. For example, in South East Asia it can cost as little as $20 to travel between Thailand and Laos by bus and upwards of $300 to travel between the two countries by plane. The best place to take advantage of this is with main Europe's extensive train system. Like plane tickets, you can get cheaper train tickets if you book early. Avoiding unnecessary charges, being as flexible as you can with your travel plans, and using a travel agent or price comparison website can help you save money on international airfare. Take the extra time to explore all of your options in order to find the best deal you can get.